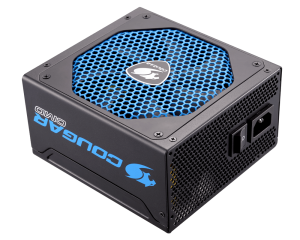 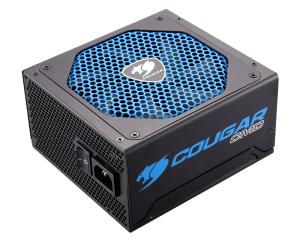 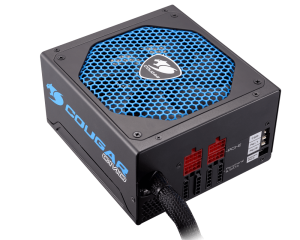 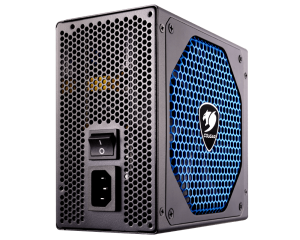 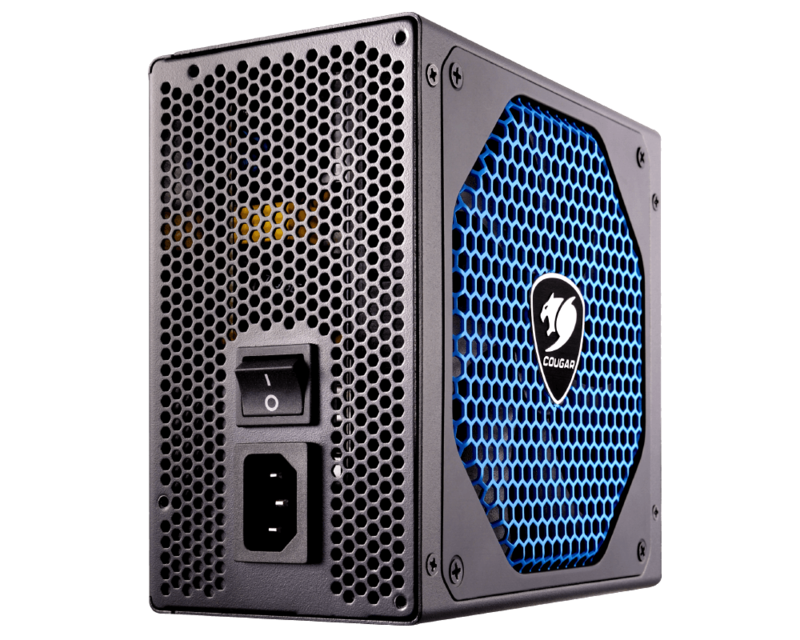 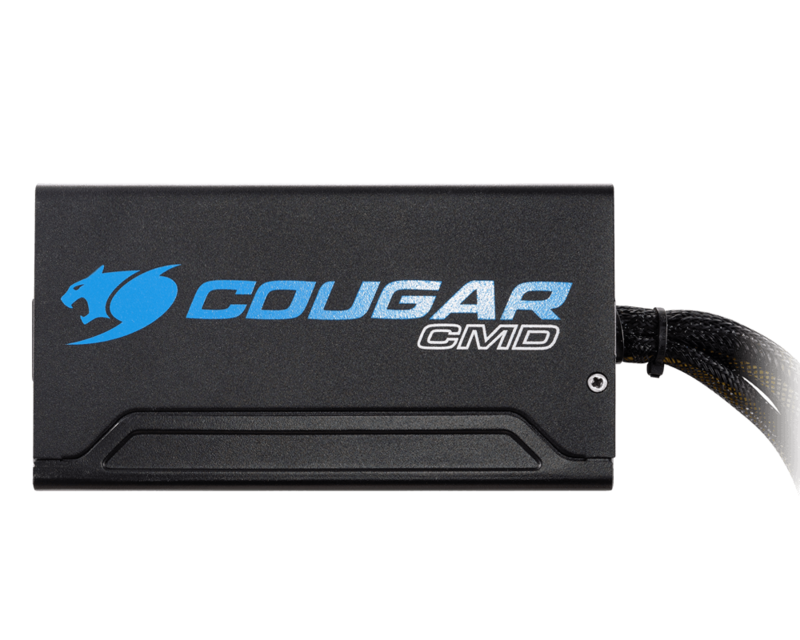 COUGAR is bringing to the market a wholly new generation of power supply units, and its first member is COUGAR CMD Digital Power Supply Unit.With CMD, the PSU stops being only a cold metal box inside your case and becomes a fully functional power control centre for your PC. 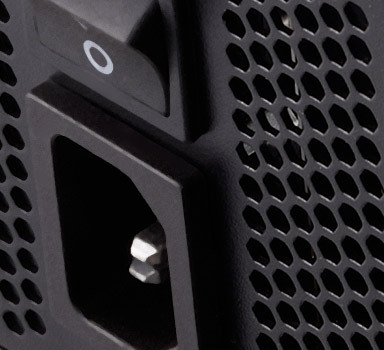 understand the status of your PC’s components, and allows you to customize their behaviour. 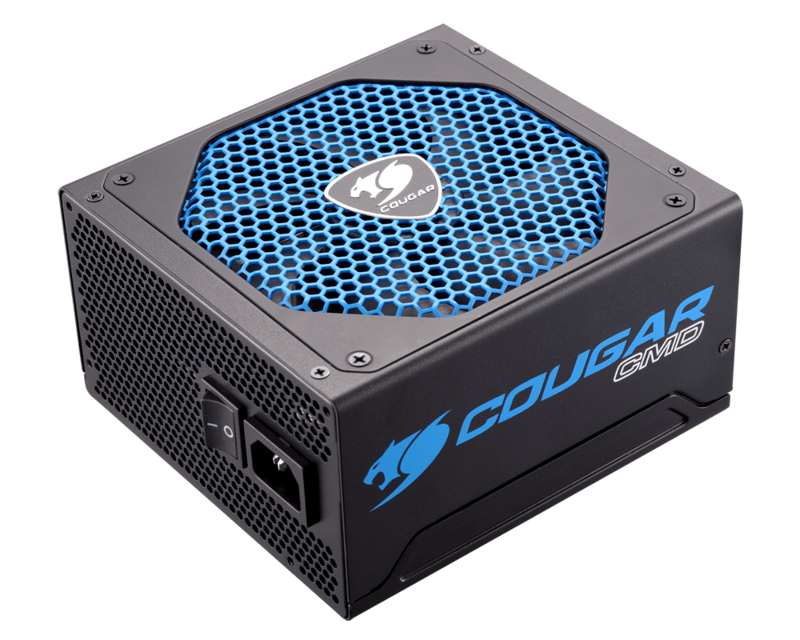 The COUGAR UIX™ System keeps lifelong records of power data in easily understandable graphs for the user to review and share. 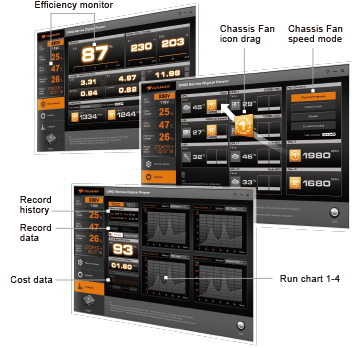 Visualize the temperature and usage of each PC component and control fan speed to minimize fan sound while you keep the temperature under control. 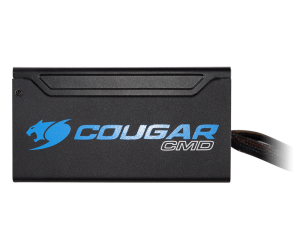 The COUGAR UIX software for CMD provides you with easy and convenient access to key information about the power supply of your System, including efficiency results, CPU temperature status, voltages with current status, input/output power wattage, external fan speed modes and thermal sensor rating. 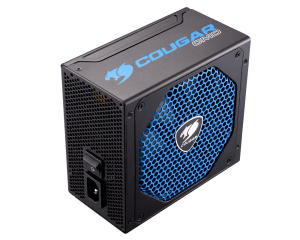 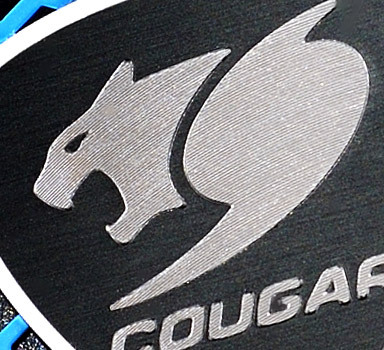 COUGAR CMD’S series can control the speed of two extra case Fans via the COUGAR UIX™ System. 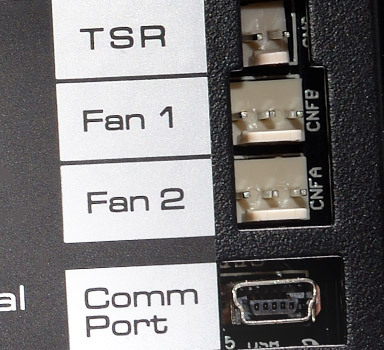 With the CMD’s TSR sensor you can monitor an extra location anywhere in your computer, to allow you to keep everything under total control. The aerodynamic design of CMD’s cables helps you in building a cooling-friendly computer. 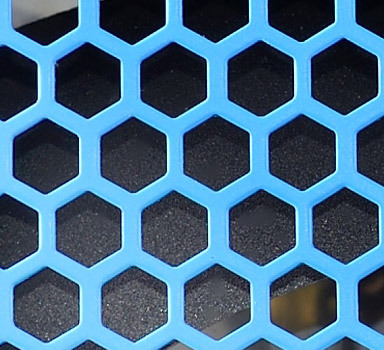 Their unique shape reduces air friction optimizes the airflow and makes the installation simpler. 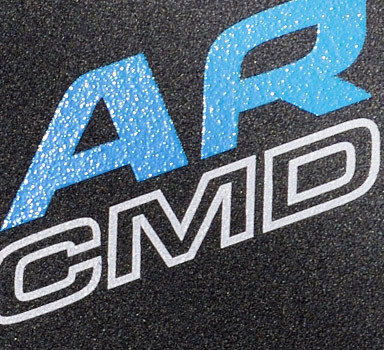 With CMD series, the performance data you get is accurate and in real time, allowing you to know what is happening in every moment and to act promptly if there is any problem: real data in real time. 80 PLUS® Bronze certified: provides up to 88% efficiency. Less Cost, Less Heat, fewer problems. The PSU is designed to operate at 40℃ environmental temperature. 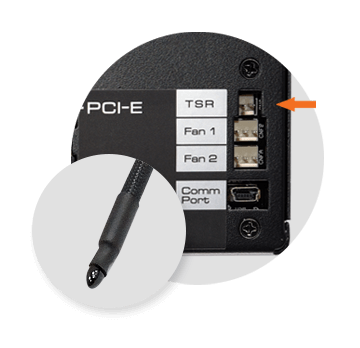 Apart from the temperatures of the key components, CMD’s TSR Sensor also helps you to Check the temperature of any part of your PC. 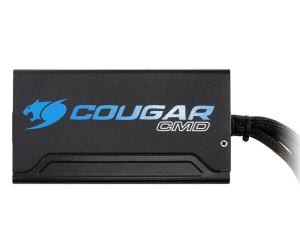 CMD brings your computer a step higher on the sophistication ladder. 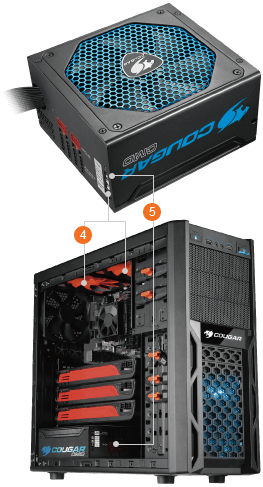 The two additional fans will allow you to fine-tune your computer’s internal temperature by adjusting their speed. 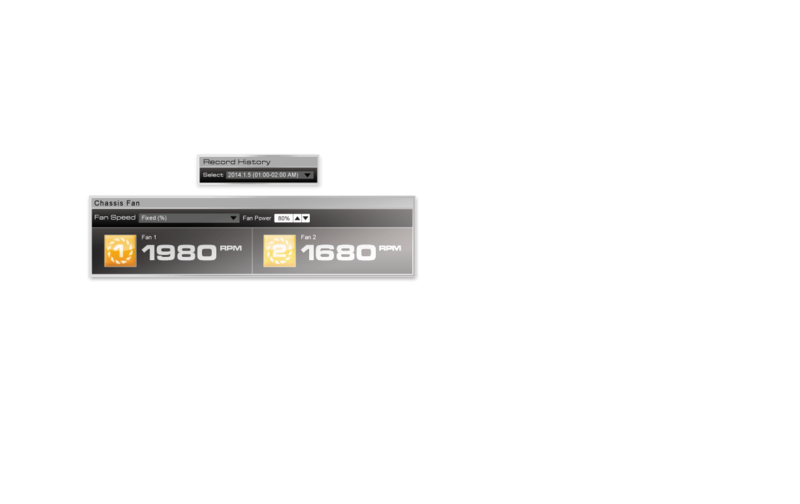 Getting information is good, but being able to act on it is even better. 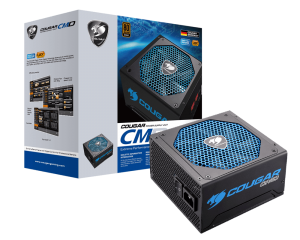 The CMD series allows you to adjust the voltage of your computer’s Power Supply and the speed of the two extra fans it supports. 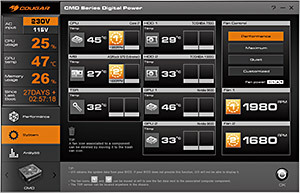 allows you to monitor all the power and temperature information and benefit from all of CMD’s functions. 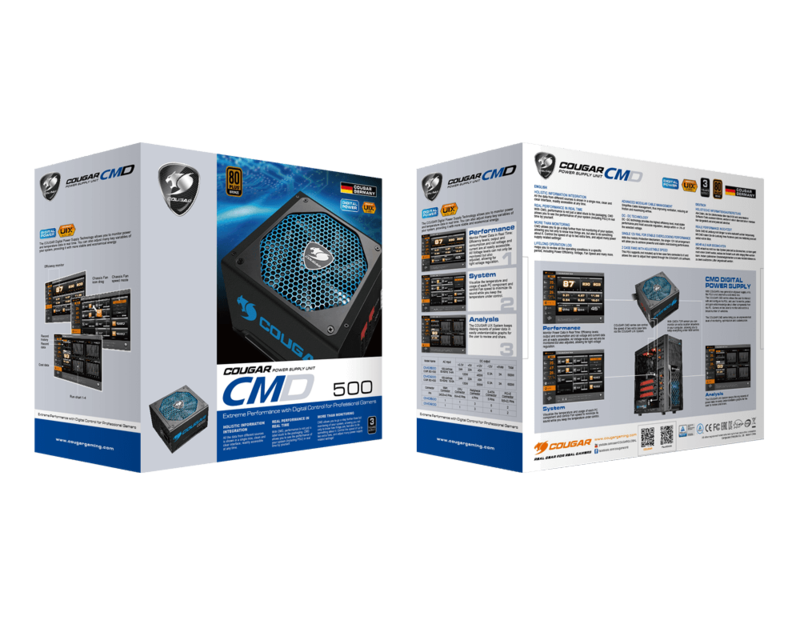 CMD supports (not included) up to two extra case fans (standard fans with 3-pin connectors) and allows you to control their speed. CMD is able to accurately detect the temperature of any location in your case thanks to its 10K thermistor and its flexible cable’s 50 cm length. 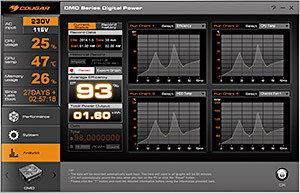 Accurate and flexible monitoring! 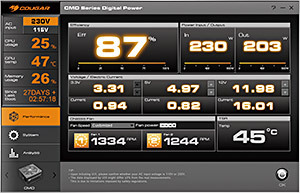 Keep your information for as long as you want and go back to it later to see how your System performs. 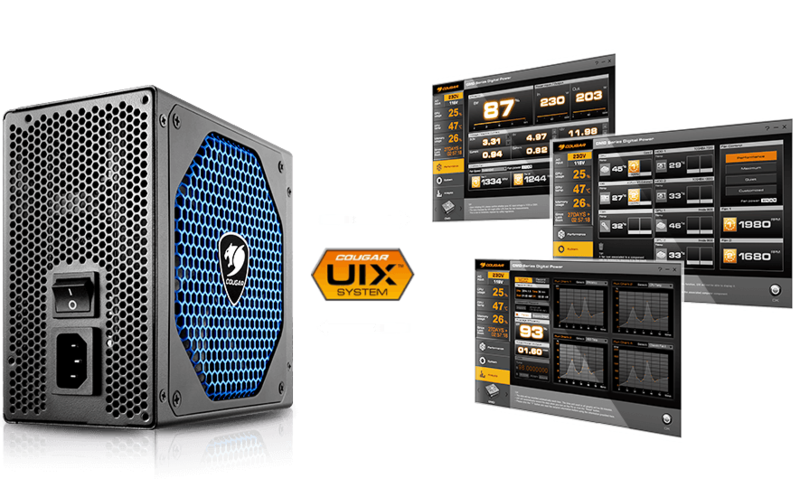 Get a better understanding of your System. 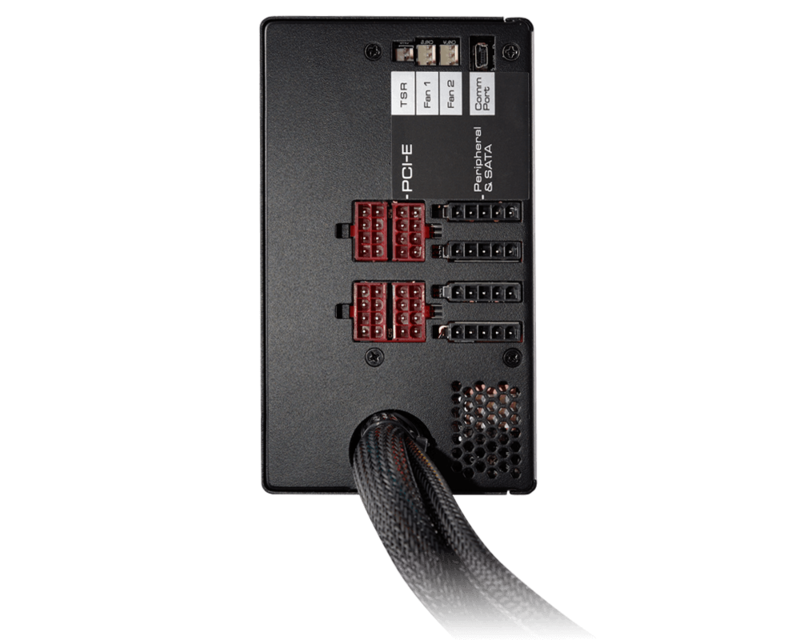 80 PLUS® BRONZE certified, up to 88% efficiency. 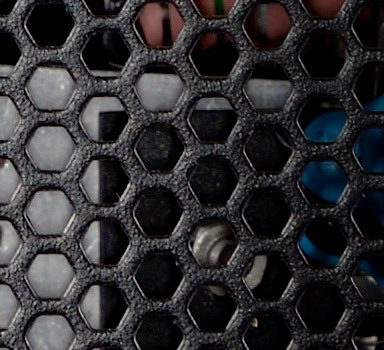 Less consumption cost, less heat, fewer problems. 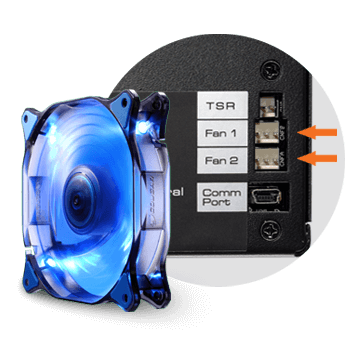 Fan speed automatically regulated according to temperature, minimizing sound and avoiding overheating.